With Game Anglia only a month away, we are thrilled to announce our partnership with Steel Media, the clever people behind Pocket Gamer, PC Gamer and many others. Steel Media are veterans in both games media and gaming events organising the global ‘Connect’ event series in countries ranging from the US to the most recent one in Finland. 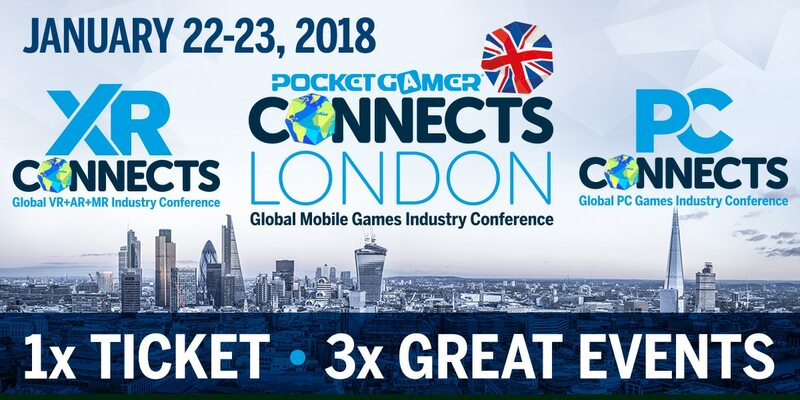 In January 2018, Pocket Gamer Connect comes to chilly London. Held in The Brewery, PGC London enjoys over 140 speakers and hosts visitors from over 50 countries. Currently, Steel Media publishes over 12 print and digital magazines covering mobile games, apps, VR/AR and even smart TV’s. The team also organise a number of networking events and competitions including the hugely popular Big Indie Pitch. The team at Steel Media is helping Game Anglia by using their extensive experience and world-wide reach to put the word out about our exciting new event and ensure it is one to watch in 2017 and beyond. We would like to say a very special thank you for helping out with this inaugural event and we look forward to a long and fruitful friendship ahead. For more information on the range of publications and events from Steel Media please visit the Steel Media website and the Pocket Gamer Connect portal. Steel Media Ltd is a leading mobile consumer technology publisher and events company based in the UK. With a team boasting unrivalled consumer and contract publishing experience, the company currently publishes Europe’s biggest mobile and handheld gaming website PocketGamer.co.uk, which is licensed internationally. It also publishes the leading mobile games industry portal PocketGamer.biz, US-based sites like 148Apps.com, VR/AR-focused site The Virtual Report and new addition, PC Games Insider. Steel Media Ltd also runs a promotion and advertising network, syndicates content to mobile operators and handset manufacturers and provides a range of editorial, design and contract publishing services to a number of leading blue chip brands.